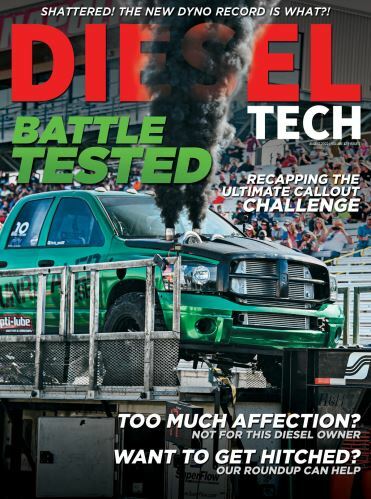 If you trace Abbie Polivka’s diesel passion back far enough, you’ll find that it has roots all the way back to her father. When he was 16, he bought his first truck and rebuilt it from the ground up. Years later when this southern Connecticut girl was born, the build was still a big part of the family. When Abbie was in high school, she followed in her father’s footsteps and bought her first daily driver. But because it had a 302 gas motor, she knew she really needed something better for fuel mileage. Abbie started checking out diesel trucks and found a lot of great options. Abbie and her mother hit the web for an old body style Ford, and though it took some time, they eventually struck gold. “I came home one day and my mom said she thought she found the perfect one. And she was most definitely right. It was the perfect one,” Abbie grins. She took a day to make the drive and check it out in person, and all it took was one test run to know right then it was the one. Abbie had big plans for her truck. She did a 4BT P-Pump Cummins swap with custom fabrication and parts as well as special adapters from big rigs and tractors to keep her stock e4od transmission. “Being an extended cab flareside, it’s already very rare. I wanted to make it even more so. Not many people have done 4BT swaps, and out of the ones who did, no one kept the stock transmission and axles. So I decided to make it complicated and keep them the same,” she explains. Next, Abbie installed a custom vacuum pump brake system, mounts and brackets, wiring, and a new computer. A three-inch body lift and six-inch suspension lift were followed by new Fuel Krank wheels wrapped in hefty 37-inch Pro Comp A/T sport tires. ARP head studs, head gaskets, and valve work touched off the transformation under the hood up to this point. Abbie turned her attention to revamping the interior and next bought brand-new carpet, custom fit leather heated seats from a VW Tiguan, and custom interior lights. She added new doors, fenders, cab and body mounts, and cab corners. Abbie also had one-of-a-kind headlights made and installed a custom fiberglass hood. She did all her own body work and repair, and her father completed the look with a bold blue-and-white custom paint job done outside in the yard. And Abbie couldn’t be happier. “All the work most definitely made it more unique and hopefully an inspiration to others,” she says. The industry being what it is, however, Abbie has had some trouble facing down negativity while working on her truck. On the flipside of the coin, Abbie has been bolstered by a lot of encouragement. Her parents play a huge role, and Abbie has also been grateful for the help and friendship of Christopher Brunner, Joe Bertholet, Jason Beebe of M&J Auto Recycling, and the OBS Brotherhood administrators.